Endurance is a quality that is universally admired, but when it comes to the fast-moving world of technology, the longevity of a handset is often its undoing as consumers continue to clamor for better and faster hardware improvements rather than keep the same phone for a long period of time. Smartphones generally end up being replaced due to a hardware breakdown or becoming sluggish as it strives to keep up with the latest updates. Here we'll discover some of the Android smartphones that have managed to stay in great shape in terms of overall durability and performance capability. While smartphones will never earn a place on the shelves beside shampoo and others in the “Fast Moving Consumer Goods” (FMCG) category, it's become a rite of passage for companies to introduce yearly updates to their existing model range, with flagship devices often taking center stage. Mobile carriers have also made it more tempting to run with the latest smartphone model in your hand by offering extremely attractive pricing plans tied into your monthly subscription, or a guaranteed free upgrade plan each year, among others. What if you are able to easily afford the latest Galaxy S series handset or LG V range, but simply refuse to for one simple reason: you’re plain happy with the current smartphone model in your pocket, and see no reason to make the jump? We took a look at some of the preferred choice Android smartphones based on a Reddit thread whose owners have refused to make the upgrade jump because their handset continues to serve its purpose well, and is also extremely durable. Keep in mind that the durability of the legendary Nokia 3310 can no longer be achieved by smartphones of today. Those were indeed simpler days prior to the arrival of the touchscreen. The criteria taken into consideration for a smartphone that ages well definitely starts with consistent and prolonged battery life and performance. Take note that some of the candidates that fall in this elite group of Android smartphones for longevity and durability might not be commonplace or can only be found in selected markets. There is a healthy spread of smartphones from different manufacturers that had loyal owners of anywhere from two to four years before deciding that it was time for an upgrade. While using a four-year old smartphone as a daily driver might sound odd, you might be surprised to find out that the experience might not be all that different from the latest and greatest model in the market. Unless of course, you insist that unlocking your smartphone with your iris is a 'must have' feature. To Samsung’s credit, the Samsung Galaxy Note 3, Galaxy Note 4, and Galaxy Note 5 have held up pretty well, while the Galaxy S2 and Galaxy S5 had some honorable mentions. It is safe to assume that Samsung’s bitter rival, LG, had its golden era of Android smartphones with the LG G2, LG G3, and Nexus 5 being rated very highly by many users. These handsets are basically regarded as indestructible when it comes to daily use, and are still chugging along nicely even after all this time. Motorola’s original DROID was a tank, but it was the Moto X (2013) and Moto X (2014) that were most frequently cited to be a durable daily driver, while the Moto G (1st generation) proved worthy as well. With Motorola manufacturing the Nexus 6, that is one device that continues to run strong in many people’s pockets despite being released in November 2014. HTC must have outdone themselves with the HTC One M7 and HTC One M8, with both of these handsets retaining their edge in terms of design even until today. Less popular Android handsets that continue to work well even in the era of Android 8.0 Oreo devices include the OnePlus 3 and the Sony Z3 Compact. You will find that developing countries will command a larger share of two to four year old smartphones as opposed to the shiniest new model as economic factors play an important role in these markets. 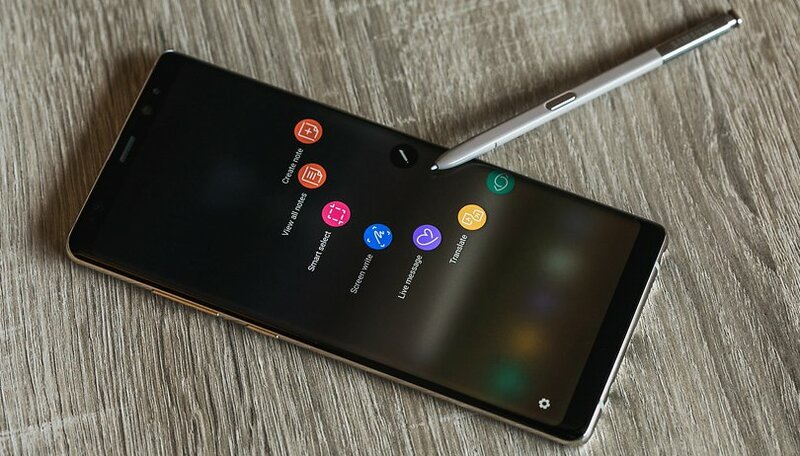 The number 1 reason many users of these smartphones in mature markets decided to stick to their long outdated hardware was attributed to consistent performance, and most of the owners ran custom ROMs rather than just stock Android as the operating system of choice. This more advanced level of users is a special breed who know what they want and would most probably skip a few upgrade cycles before making the leap. This group also showed a tendency to swap the old battery for a new one to keep the same handset running well for perhaps another couple of years, where most people would just reason that a failing battery is a sign to upgrade the handset. Apart from that, the average consumer whom smartphone companies target successfully most of the time is flooded by ads that encourage an upgrade for the sheer sake of owning the newest model as opposed to keeping an existing model for the simple reason that it still works, and works well. Now over to you. Which Android smartphone have you stuck with the longest, and why? We would love to hear of your adventures with the pocket Old Faithful of your choice. My Samsung S6 didn't even last 2 years. Complete breakdown/would not turn on. I am currently using an old LGG4, it's over 2 years old, so far so good. I am sick and tired of replacing my phone every 2 years. Seems like a scam that goes along with the throw away life style so many adopted. Had my first smartphone a Palm Centro and still use offline and as a backup. Also still have my droid incredible which I use on WiFi but its slow and stuck in gingerbread land, I let my granddaughter play with it to. In addition to backups and kid's toys, old phones are great as MP3 players too. I use my old iPhone as an iPod and it saves me from using my main phone's battery life while on the go. I had a couple of awesome phones through the years.Let's see Nexus 4, Nexus 5, Nexus 5X and now i'm rockin the Galaxy S7edge which is great but is starting to slow down at least compared to Nexus devices. I would say my longest lasting and favorite device is Nexus 4. Great screen, fast software, awesome design... But at the end my looongest lasting device is my ipad 2 which is still used today regularly so my next phone will be an iphone for sure for many reasons. If manufacturers would bring back removable batteries, phones would last so much longer. Note 3 was the longest I have stuck with one, but since the advent of mindless non replaceable batteries, the Moto Nexus 6 was the only one to remain useful. Moto N6 was used in conjunction with Nexus 6P, that is current daily driver and requires constant charging so being replaced asap. Merit mark to Note 2, which was passed on to a friend and is still running well with custom ROM. Wow! Glad to hear the Note 2 from 2012 is still kicking. I think my HTC one m7 lasted two and a half years and i would still use it but i busted a port on it. My one plus three is still going strong although not that old but i can't see me upgrading in the next few years as it should still be quick enough for most needs and has plenty of RAM to spare. will be interesting to see how the battery lasts with the first gen of dash charging though. But I really want a S8, but I'll wait until end of contract (but might just buy S8 directly it's a big but). I'll try and wait for the S9 see how much better it is compared to the S8. Though my brilliant S5 is still running great with my nephew, my old faithful S3 is in retirement but still does the odd job as a security cam, the battery wasn't charging so purchased a decent charger and proper charger cable and it came back to life and if needed could be used. I tend to kill them in one way or another around the 18 to 20 month mark. Screen break, battery won't hold enough charge, digitizer failure, micro USB connector failure.... Probably the Moto X Pure Edition was the toughest. My Nexus 5 is still running everyday, and I use it a lot for experimenting (i. e. flashing ROMs etc.). Still works fine. My Nexus S however got a faulty battery, but still boots when connected to a charger. However, it doesn't seem to reed any SOM-cards an is running extremely slow. Flashing any ROM doesn't work either , but I still can do WhatsApp-calls via WiFi. ONEPLUS phones have given me the greatest joy and services. I had used lots of the peoples favourite phones till the advent of the OnePlus One, which I acquired due to what I read on their website. Some of my friends jeered at me for buying such unknown and unsung phone. Alas, I have used the One Plus One for over four years before I decided to upgrade to OnePlus 3T. The most important aspect of this phones that many do not know is that they automatically update to the latest Android gradings. I found it difficult to give away my first OnePlus as it is still current and working fine. While I give kudos to ASUS Zenfone 2 that I purchased in-between, I still hold on to my two OnePlus phone, though I sparingly use the ASUS, which is good in own rights. By all means, OnePlu is the only phone that I know to automatically upgrade its Android software to the most current.